Like a true journey of discovery, we do not know what is around the next bend. Often our way is obscured from view. All we can do is simply take the next step, in hope, in faith, that with the following forward thrust, all will be well. Yet we should not neglect the journey, for our quest is not only about the destination. What happens along the road could make all the difference. It may shape the future of more than ourselves. In many works of literature, we see the importance of the journey. This trek into the unknown is a metaphor for self-discovery. It is the fate of the Epic Hero. What defines an epic hero is that he must leave home, travel into the unknown, descend into darkness (death), be transformed (reborn), and ultimately return home a different man. A good example of an epic hero is Bilbo Baggins in J.R.R. Tolkien’s, The Hobbit. Bilbo is the reluctant adventurer, forced upon a journey in which he must face many hardships. As he enters into the Mines of Moria, and then again, into the evil forest of Mirkwood, he descends into darkness, and in the depths of his fearsome trial, he finds his true self. Something inside of him has changed. He is now (reborn) an authentic hero; he fulfills his quest, survives battle, and returns home a different person than when he left (There and Back Again). Throughout THE STONE OF EBENEZER, we experience the journey as we look with different eyes. We follow the young Hebrew, Nagad, as he fights for his nation. We trek after the Philistines as we see a vision of their quest. And we follow the Seat of Yahweh, the Ark of the Covenant as it, too, is forced to wander. In each case, something important is about to happen. The journey for each ripples through the saga to impact the destiny of those that will shortly follow. Come along on this epic quest as our hero journeys toward self-discovery and, ultimately, helps decide the fate of a nation. Nagad watched as a third of the army turned and marched slowly away, their backs to their destination. Another path would have to be forged through the wilderness, another trek over the mountains. Their journey would be more difficult, their fate a different path than the remaining host. Fortunately, the priests with their sacred burden had made it beyond the flood before the torrent raged. The seat of God would continue on as planned. And the host of men would follow, a holy battalion on its way to its own destiny, unknowing the distant course that would be their doom. 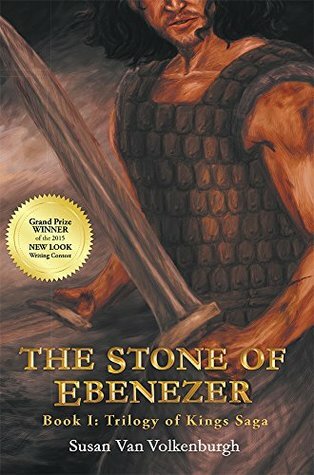 Read the exciting first book in the Trilogy of Kings Saga, THE STONE OF EBENEZER. A nation falters, an enemy approaching; can one man overcome his past to lead his people back to God? Grand Prize Winner in the New Look Writing Contest January 2015. In literature, a motif is a recurring element that has symbolic significance in a story. Through its repetition, a motif can help produce other narrative aspects such as theme or mood. In THE STONE OF EBENEZER, we see Nature coping with the same crisis that our main character must face—it represents the contrast between the world God created and the world marred by man. As they journeyed through the mountain pass, the cavalcade crested yet another hill. Below lay a lush valley full of orchards. The sweet fragrance of apple blossoms rose to meet them. A gentle breeze lifted pale pink petals into the air, twirling blossoms around the party, teasing the men until the flowers showered down like snow upon the mountain. One of the main themes that runs through THE STONE OF EBENEZER is Revenge vs Forgiveness. The narrative speaks to the motives that drive what one does in order to come to terms with loss and trauma. Battle is used as a metaphor for personal struggle. Dominating the landscape, across the undulating ground, Nagad beheld various shades of yellow and crimson, short-lived flowers of summer, fluttering in the soft morning breeze. The smell of spring, of the uncertain glory, hung in the air, a variant wave of freshness faintly perceived, coming with the distant scent of apples wafting up from the golden blooms of the crown daisy. Breathing in the smell of the field, the green lap of the vernal season beckoned from sleep and issued forth a flood of memories of youth and peaceful times, of white linen robes and youthful love, and the soft laughter of a virgin. Transfixed by the flowery field, by the scarlet crowfoot residing close to the ground, each with a single stem that terminated in one ruby flower, and the gilded display of the crown daisy towering over the crimson carpet, Nagad thought: how like a flower we are. We come forth and then we are cut down and fade; as a shadow we do flee, lost in the dark of night, and continue not. Of neither do we make much account, for neither can bear our confidence, for all wither and are gone. And there, between Mizpah and Shen, the Philistines came rushing toward them in great number, hastening unto their own fate. The vision of the heavily armored and highly trained Philistines moving forward in tight formation sent fear into the hearts of the Hebrew lines. Yet, through the knee-high stems of the crown daisy, trudging through the bushy display of glorious yellow heads, the Israelites marched onward, increasing their pace until they surged forth in swiftness of speed. In this scene, flowers are used to illustrate the drama of the battlefield, foreshadowing what is to come for the men fighting upon plain. Another motif is weather—the weather of the world—literally and figuratively—reflects the action and tension within the story. As nations erupt, so too, the sky ruptures in conflict. Thunder sounded overhead as lightning streaked across the darkening sky. Rain came down in sheets, driven with great force by the west wind, as the thundercloud burst open, the heavens rent, suddenly violent, issuing forth a forcible storm. The silent expanse of nature, whose bowels gave way, ruptured with tumultuous agitation, the dreadful fury of the tempest amid fitful bursts of wind. The road became impassible as the route quickly turned into a sea of mud. The Ark threatened to topple as the soldiers fought to keep their footing on the slippery roadway. A breach in the lines formed as the company stood leaning into the wind, fixed firm against the storm, yet no progress made toward their destination. Bludgeoned by sound, the roar of the driving rain and wind, accompanied by the crash of thunder, obstructed the exchange of words. With sound radiating through time, notes rising then lost to decay, Caphtor retorted above the thunder’s bend with dreadful voice uttering violent denunciations, oracles severe, as the storm grew more feral. The internal pressure of nature mounted a crack of thunder as though the fissure of doom rent forth with a terrible fulmination, accompanied by the intense display of light, discharging upon the atmosphere with violent exertion. Unable to control the instinct, soldiers dropped where they were, ducking with arms raised to protect their eyes from the dreadful display. The battle is brutal; the way is tough. We all face battles in this life, whether physical, emotional, or spiritual, and these battles are brutal, even as the conflicts are within THE STONE OF EBENEZER. And like our hero, we must push through the fight. This is the true sense of an epic journey, a journey that leads toward resolution. May all your trials bring you to a place of peace. I was thinking today about the vocabulary, or the loss there of, within the English language. Everyone seems to be in such a hurry that words are simply discarded. Even the SAT vocabulary list has been “dumbed down.” It saddens me to think how lightly we hold words. Without words, how would we express ourselves, tell a story, or give instruction? It is hard to estimate how many words are available for our use, but it is clear that the average person speaks only a small percentage. Although Shakespeare made use of the vast vocabulary at hand, he found that there were not enough words for his taste. So he coined new words, somewhere around 1700, such as eyeball, mountaineer, bedroom, and of course puking, green-eyed monster! Words are descriptive, specific, and waiting to be used. You do not have to be a erudite, or a philologist, to appreciate a broad vocabulary. Words are available for everyone. Each word has a unique meaning: some general, and some, are very specific. These are the words that make the difference between good enough writing and great literature. In light of that last statement, I would like to share the following post from an earlier entry, for words are my passion. As an author, how words are put together in a sentence is as important as what words are engaged in telling a tale. Here is insight into my use of words…. Words, words, words… I have a love affair with words. I am a word collector. 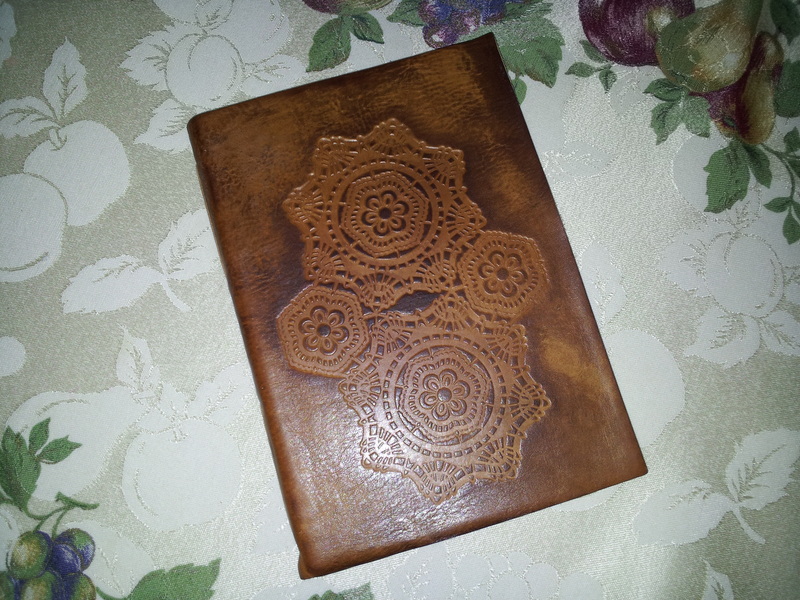 I even keep a leather bound word journal. When I am reading, I will stop as I come across a word or a phrase that I especially enjoy. I will pause, turn around and go back, rereading the words slowly as I mull them over in my mouth, feeling the texture of the words as I express them audibly. Then, so as not to forget the sensual experience of these beautifully crafted words, I carefully write them in my journal, noting where I gathered them so that forever I can return to experience their pleasure once again. As a writer, I often have vivid scenarios that play out within my mind, so real and detailed that I actually view myself within the scene, watching intently as the action unfolds before my eyes. The question is how I, as a writer, relay to the reader the striking images of my vision. I find that authors often miss out on great opportunities to fully express their imaginative conceptions. They assume that the reader sees what they perceive. But if one is not careful, details are missed as the author fails to deliver an adequate description of all that is within the folds of their mind. We must never assume that the reader can see into our thoughts. Words are the key. It is said, the genius is in the detail. Nothing should be left unsaid. As I view a scene within my mind’s eye, I look all around and ask myself: what do I see? What do I hear? What do I smell? Then I painstakingly transcribe each detail into information for my audience, written in just the right way so that they can be caught up into the action with me. I say painstaking; for that is the way it is for me when I write. I have spent two weeks writing one paragraph, thinking, ingesting, researching, for just the right words so that the images flow as a leaf upon a fair breeze. I do not just tell the reader what I see, or hear, or smell. The way I write, the words I choose, the order in which I place the words, are just as important as what I write. Nagad stood upon the rise, looking over the land before him. The rolling hills were covered with flowers that waved in the breeze. The morning air was fresh and new, bringing to mind visions from the past. So you see, how a scene is written is so much more than the delivery of information. 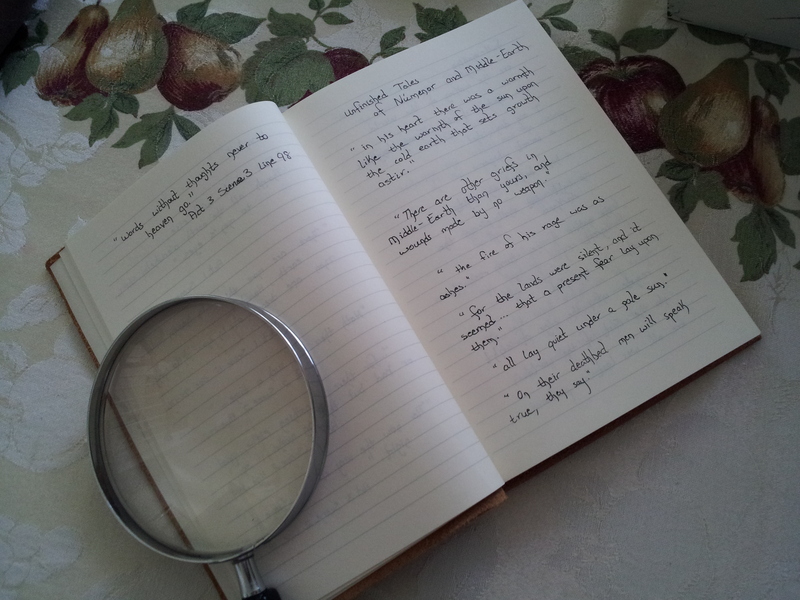 Not only do I want to describe my characters, my scenes, I want them to come to life, to jump off the page. I desire my reader to have a visceral reaction to all that is transpiring within the words on the page. They should experience the story as a member of the action, not a passive observer, but an integral part of the story. The narrative should flow off the page without difficulty. The story line should be easy to follow; the burden of the saga should be on the author, and not the reader. So then, go forth and read. But not only read, study how the words are composed. What makes the author’s words come alive?